Dominant Frenchman Sebastien Ogier clinched his sixth world rally title in a gripping final race of the year at Australia, denying Belgian Thierry Neuville and Estonia's Ott Tanak maiden crowns. Toyota's Ott Tanak, claimed his third consecutive victory on Sunday, at the Turkish Rally, to move up to second place in the world championship standings. Championship leader Thierry Neuville dropped out of the Turkey WRC after breaking his suspension on the first special stage of the day. Estonia's Ott Tanak steered his Toyota to an impressive victory on the dirt-track forest roads at the Rally of Finland on Sunday, clinching his second win of the season after leading all weekend. Ott Tänak dominated the second leg of Neste Rally Finland to close on his second victory of the FIA world rally championship season. World champion Sebastien Ogier secured victory in the season-opening Monte Carlo Rally, the fifth year in a row he has won the event. 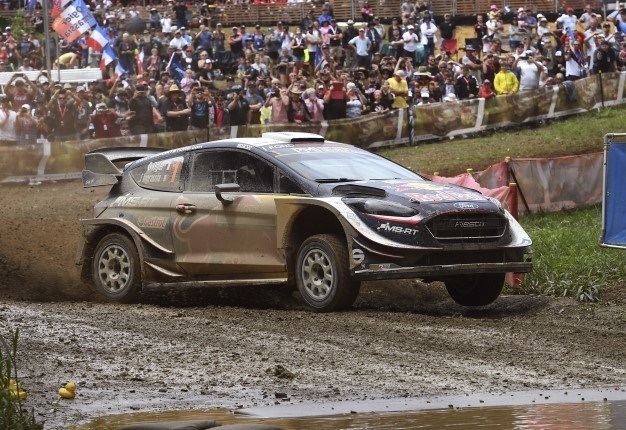 Belgium's Thierry Neuville won the 2017 Australian WRC by 22.5 seconds as torrential rain added drama to the last day of the final race of the season. In the second half of 2018, Volkswagen will make the 200kW rally version of the Polo available to professional teams and aspiring drivers to enable them to compete in championships across the globe. Estonia's Ott Tanak is targeting the overall WRC lead after winning the Germany Rally. Estonia's Ott Tanak, behind the wheel of an M-Sport Ford, was fastest in the opening super special stage of the 2017 Finland Rally. Is this the world's unluckiest rally driver?